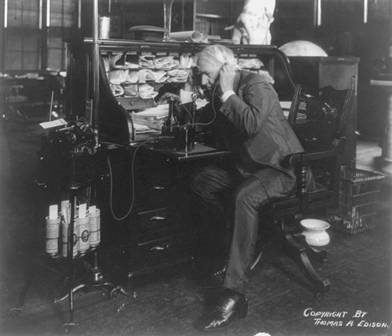 Fox News recently described Thomas Edison as a ninja innovator, one who set tough goals and achieved them through unconventional and uncompromising marketing efforts. No less is required of today’s innovators as they struggle to keep pace with fierce global competition. 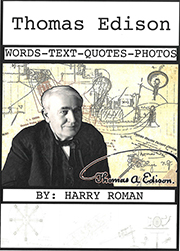 Edison had the unique ability to imagine an alternate future, a different world in which to live; and then create products and industries to sustain that vision. Consider how his major inventions changed the world…..phonograph, motion pictures, and the electric light bulb/power industry. Today these industries are the bulwark of our modern society, and the digital economy that has developed around them. 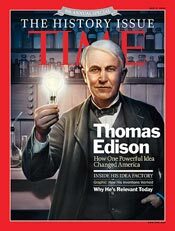 It was Edison’s imagination and drive that made that alternate future come alive. 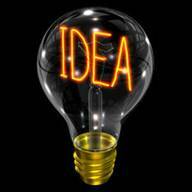 Most folks associate the bright idea as the “Aha” moment, and usually recognize the brightly burning light bulb as the symbol of a great new idea. It has become a kind of universal image for invention and innovation. It’s very much like the old adage, “ideas are worth a dime a dozen”. The making of an actual product/service adds the real value. Getting an idea to market is the reward. Edison knew this well. At the height of his industrial enterprise, he had over 10,000 employees to pay every week. You cannot issue paychecks on ideas. Something must have been manufactured and sold. Lest there be any doubt, consider that Edison has been dead since 1931, and the products and technology he developed are still responsible for about 10% of our national economy—about $1.5 trillion of lasting annual economic value that has come down through the years to us. It has been estimated his work is responsible for one-fourth of all the jobs in the world. What is the largest enterprise in the American economy? The oil companies? Hand-held telecommunication devices? Neither! It is the national R&D industry..another direct descendent of Thomas Edison…the man who made corporate R&D the powerhouse for turning raw ideas into commercial new products. In 2012, the R&D industry was over $435 billion a year. That’s what ninja’s can accomplish. 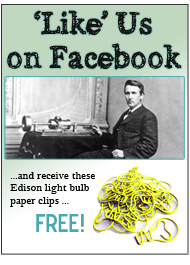 Innovate like a ninja … innovate like Thomas Edison! Time® is a registered trademark of Time Inc. 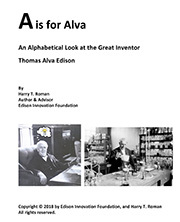 This entry was posted in All About Tom on May 29, 2013 by Edison Innovation Foundation.